Hello I am responding to this post from 2013 asking if this feature got added eventually? If I understand your question here it seems you're asking if it's possible to expand the matrix field to add more lines to it if needed as discussed in the thread you followed up on, correct? You can actually add more columns and rows to the matrix within it's properties if needed but it has to be something you set for this within the form builder so that it is live on the form when used as it cannot be added in real-time. 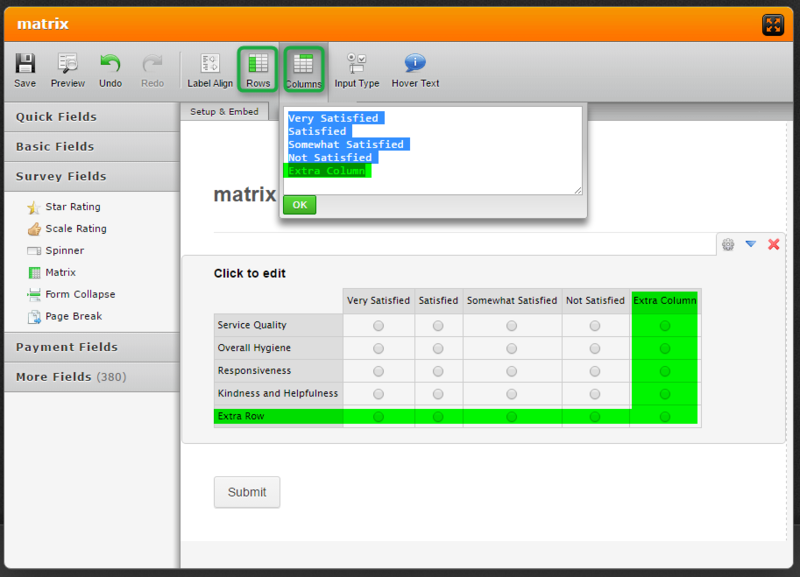 Alternatively, you can use our Matrix Dynamique Widget that has a similar functionality to the matrix but it can be expanded when the user is on the form.